Columbia Police Chief Skip Holbrook announces the arrest of a suspect accused of killing a man and injuring two others during a domestic-related shooting. Roosevelt McLaughlin, Jr. (DOB: 12-4-1963) is charged with Murder, Two Counts Attempted Murder, and Possession of a Weapon during the Commission of a Violent Crime. McLaughlin was arrested moments after the shooting last night at the Beltline Village Apartments located at 3027 North Beltline Boulevard. CPD officers were dispatched to the scene shortly before 10:30 p.m. after an emergency call about a domestic disturbance between McLaughlin, a female, and her two sons. During the argument, McLaughlin allegedly grabbed a shotgun and chased all three victims who hid in a room to try and protect themselves. McLaughlin is accused of shooting and killing one male victim who was pronounced deceased at the scene. The second male was shot in the leg and the female suffered a wound to the hand. Both were taken to a local hospital. After the shooting, McLaughlin walked out of the apartment and was immediately arrested on site. 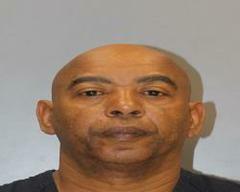 After being questioned by CPD Investigators, McLaughlin was taken to the Alvin S. Glenn Detention Center.